*Lisa Ann Sandell read from her lyrical verse novel, Song of the Sparrow, a feminist revisioning of the tale of “The Lady of Shallot"
*Alan Kratz made us laugh with his self-deprecating humor and verses from Oops and Uh Oh! The hours flew by as we took in their voices, poems from their recent works, and got a sneak peak on new and future releases. 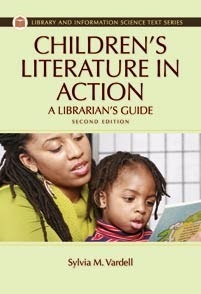 What a terrific event to include in a conference devoted to teaching and literature. 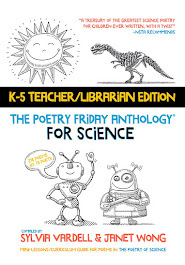 I love the idea of a poetry “recital” so much that I have imitated the Blast by bringing the concept to the Texas Library Association conference each spring. Next year, I’ll be hosting the fourth annual Poetry Round Up at the conference in Dallas. Save the date: Thursday, April 17, 2008 (10am-12pm). You’re all welcome. 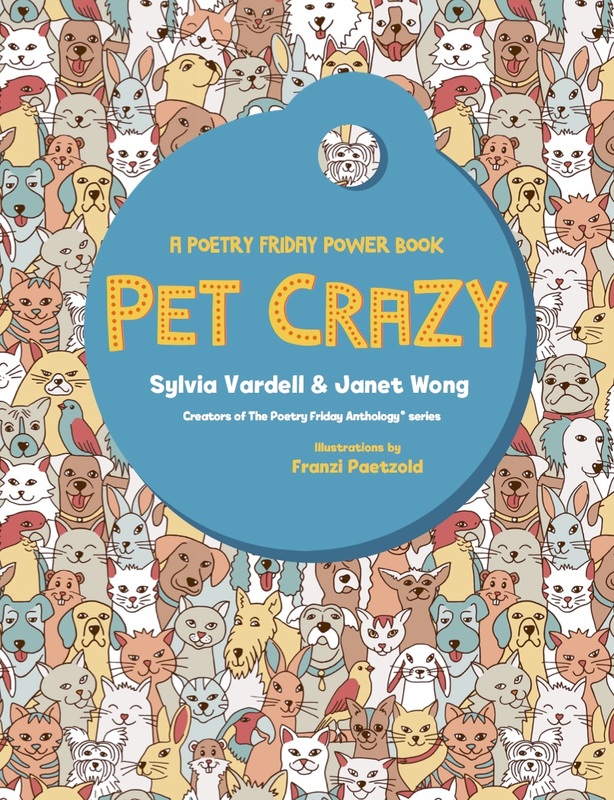 Come experience the poetry of John Frank, Juanita Havill, Alan Katz, Linda Sue Park (as a poet! ), Adam Rex, and Tracie Vaughn Zimmer up close and personal. And take this idea and plan your own poetry reading event! 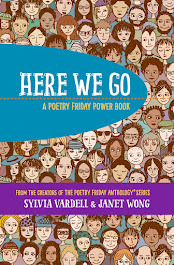 Ideally, bring the poets to your venue, but even children can have a blast with poetry by standing up and reading their own poetry or favorite poems by poets they love. 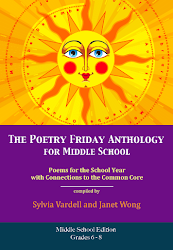 Celebrate the spoken word, the kids, and the poetry—all at once! Picture credit: While in New York, I stayed at my best friend Susan’s home near Gramercy Park. She just moved to New York (from Texas) last spring and I am living vicariously through her Big Apple adventures. The photo is the view from her guest room—AMAZING! Thanksgiving is coming up soon, so I looked around for some appropriate poems for the occasion. I gathered a collection of titles for a quick list and two poems that represent two distinct perspectives on being thankful. Enjoy! H for harvest stored away, home, hearth, and holiday. N for neighbors and November, nice things, new things to remember. That spells THANKS-- for joy in living and a jolly good Thanksgiving. wash the counter, mop the floor. Ten p.m. we finally eat. to the table and we pray. Thank you for this crazy day. Grimes, Nikki. 2006. Thanks a Million. New York: Amistad. Hopkins, Lee Bennett. 2005. Days to Celebrate: A Full Year of Poetry, People, Holidays, History, Fascinating Facts, and More. New York: Greenwillow. Livingston, Myra Cohn, comp. 1985. Thanksgiving Poems. New York: Holiday House. Prelutsky, Jack. 1982. It’s Thanksgiving. New York: Greenwillow. Swamp, Chief Jake. 1995. Giving Thanks: A Native American Good Morning Message. New York: Lee & Low Books. Poets have been writing about the power of reading and books for generations. With a focus on books and reading, these poems are the perfect way to open a storytime or read-aloud session. In fact, reading or reciting a favorite book poem could become the ritual that gathers children together for these activities. 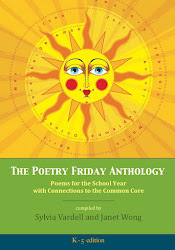 Linking poems about books with books and reading helps underscore the value of literature and making time for reading. Who can resist the following seven activities, great for celebrating each day of Children’s Book Week or any other occasion that highlights the pleasures found in reading and poetry? 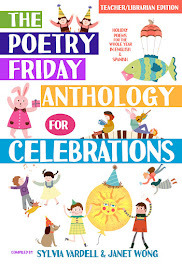 Just like holding a special party to acknowledge a birthday or anniversary, these moments have a magic all their own and create happy memories related to reading and poetry. Choral Reading: Upper-elementary students can share “Anna Marie’s Library Book and What Happened to It” by Celia Barker Lottridge from When I Went to the Library: Writers Celebrate Books and Reading (Groundwood, 2002) as a choral reading. This poem begs for multiple readers as many voices detail how one library book is passed from reader to reader to reader. A choral reading of the poem would be appealing for an open house, parents’ night, or any function with readers of various ages. Or, pair up this poem with a reading of Lauren Child’s picture book, But, Excuse Me, That Is My Book (Dial, 2005), about Lola’s search for her favorite library book. Bilingual Poetry: The poem “Books” by Francisco X. Alarcón in his book Angels Ride Bikes and Other Fall Poems /Los angeles andan en bicicleta y otros poemas de otoño. 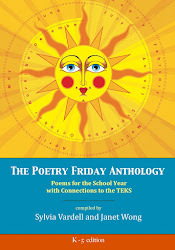 (Children’s Book Press, 1999) is a poetic celebration of books written in both Spanish and English. If you or an audience volunteer speak Spanish, read the poem in Spanish first and follow with a reading in English by another volunteer. Then have both readers read their versions simultaneously. Encourage the readers to pause at the end of each line and start the next line together. The effect is quite stunning and really communicates the music of language. Poetry Chant: The poem “Good Books, Good Times” by Lee Bennett Hopkins, from his book Good Books, Good Times! (HarperCollins, 1990), first appeared on a Children’s Book Week bookmark and then became the theme for his anthology of book-related poems. 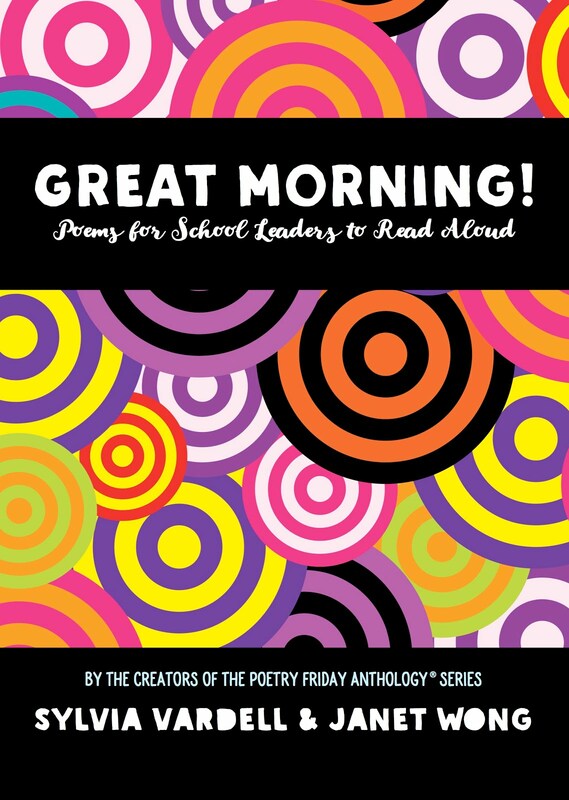 This poem is perfect for chanting with two groups of early elementary–age children in a back-and-forth fashion. Performed like a cheer for books and reading, it’s ideal for opening or closing a read-aloud session. Read the article for the rest of the 7 tips! One more scoop: Book Week is moving. Beginning next year, Children’s Book Week will be celebrated in May, specifically May 12 – 18, 2008. So celebrate now and again in the spring with bookends of book poetry! 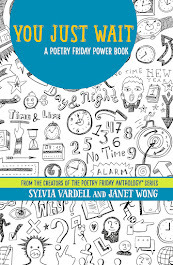 For more poetry at the Poetry Friday Round Up go to A Wrung Sponge this week. I love this thought and I send it out to all of you and especially to my daughter in honor of her 24th birthday today. And here’s a poem that echoes that conviction, as crazy as the connection might seem. 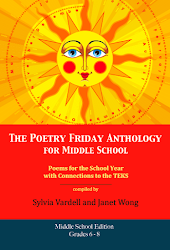 I know it's late to join the Poetry Friday round up, but here's the link for those who are interested.